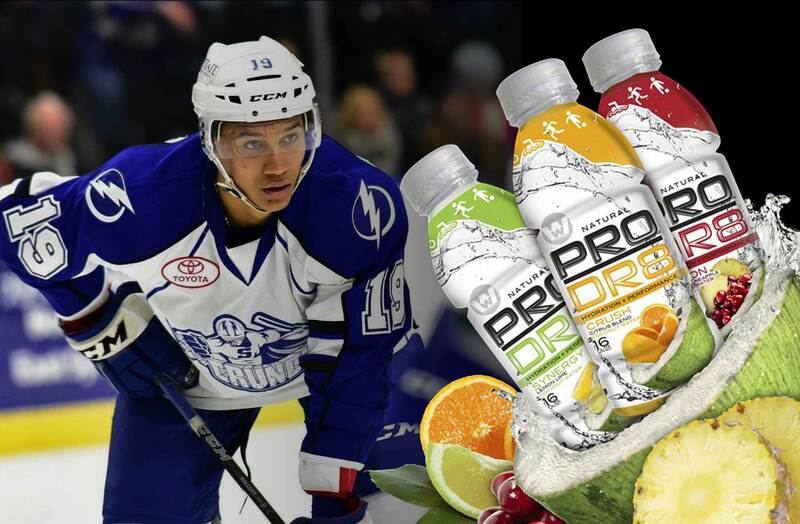 With the uses of natural flavors, cane sugar, and pure coconut water, we have formulated ProDr8™ to be a nutritionally beneficial drink for professional and recreational athletes. A drink that will be providing natural restoration of electrolytes and the ultimate hydration for your muscles. 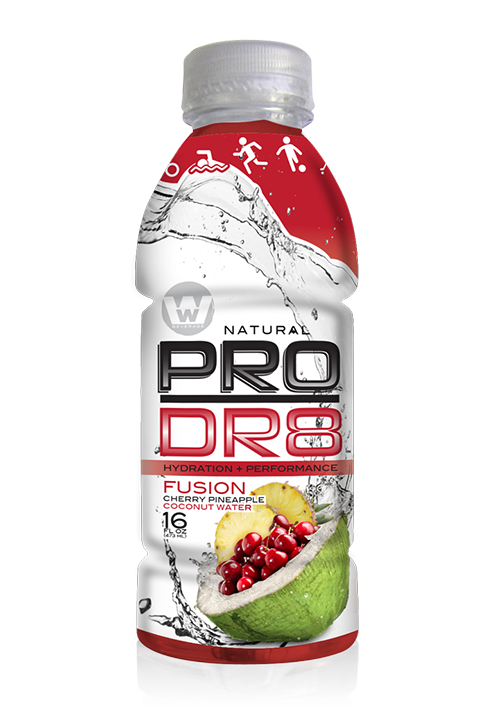 ProDr8® Cherry/Pineapple juices & Coconut water combined for an amazing taste profile. 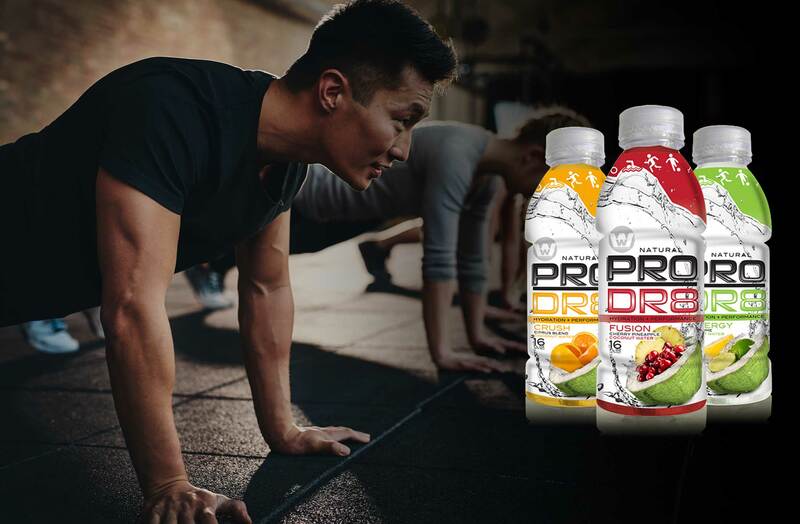 Our natural drink has no artificial color, flavors or added preservatives, our ProDr8® Cherry/Pineapple & Coconut Water sports drink is full of tropical deliciousness – it’s the hydration you’ve been waiting for. 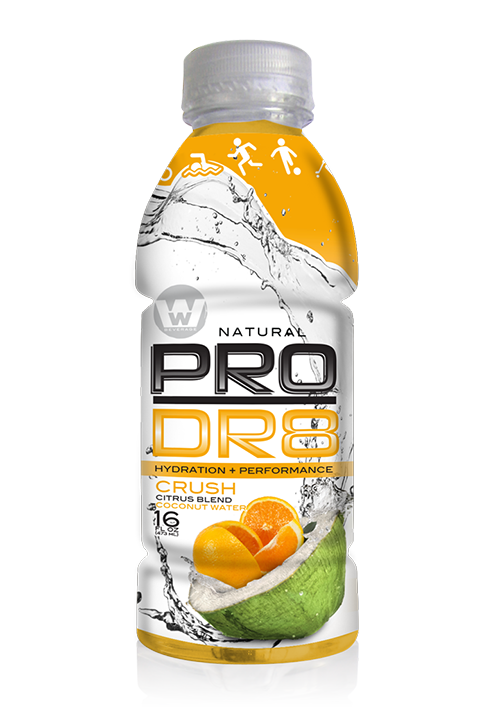 ProDr8® Lemon/Lime juices in Coconut water combined for an amazing taste profile. 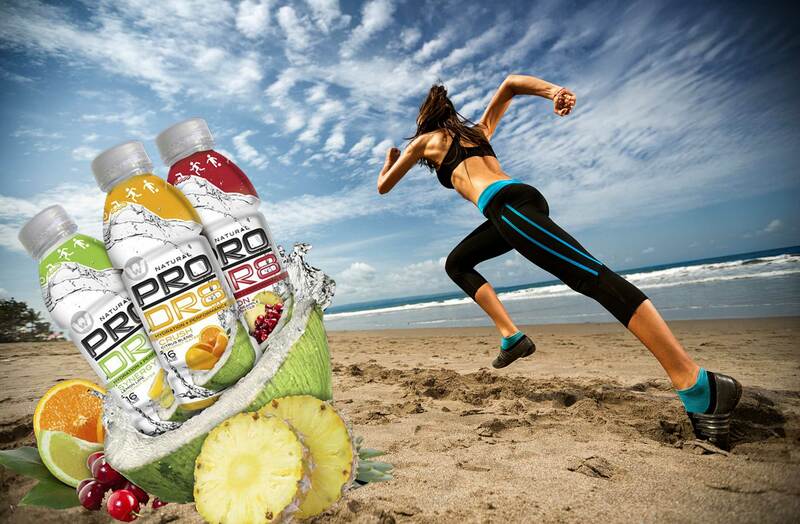 Our natural drink has no artificial color, flavors or added preservatives, ProDr8® Lemon/Lime & Coconut water sports drink is full of tropical deliciousness – it’s the hydration your body’s been waiting for. HOW PRODR8 STACKS UP TO THE COMPETITION! The ingredients in coconut water are way more effective at hydrating the human body than those of sports and energy drinks. During rigorous exercise or extended periods of physical activity, the human body loses mineral-rich fluids. However, coconut water serves as an excellent replacement medium with 294 mg of potassium and 5 mg of natural sugar per glass, unlike your favorite sports drink that only contains half of the potassium content and five times the amount of processed sugar. In addition, the sodium count is only 25 mg, which is relatively low compared to the 41 and 20 mg found in sports drinks and energy drinks respectively. The first time I tried it I loved it so much that I bought 2 cases the same day! I love the Lemon Lime Synergy. I run everyday! Often I find myself dehydrated at the end of a running session. I love PRODR8 because it hydrates my body without enormous sugar content. Love It! My hockey team started buying PRODR8 a few months back and we have never looked back! It taste great and I know its healthy. Everyone on the team loves it.